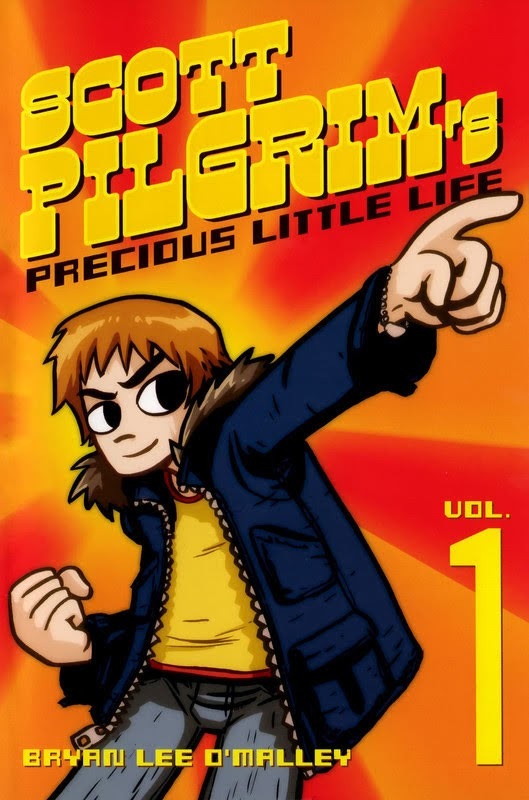 Scott Pilgrim’s life is totally sweet. He’s 23-years-old, in a rock band, ‚between jobs,‘ and dating a cute high school girl. Everything’s fantastic, until a seriously mind-blowing, dangerously fashionable, rollerblading delivery girl named Ramona Flowers starts cruising through his dreams and sailing by him at parties. But the path to Ms. Flowers isn’t covered in rose petals. Ramona’s seven evil ex-boyfriends stand in the way between Scott and true happiness. Can Scott beat the bad guys and get the girl without turning his precious little life upside-down? Tagged cbz, comics, english, Oni Press. Bookmark the permalink.